Employee Advocacy relies on individual expertise on social media to support companies’ and individuals’ branding needs. All of this is done through content, accessible to all those who are part of the Employee Advocacy program. How exactly do Employee Advocacy and content marketing go together? 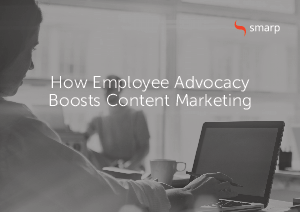 There are four aspects that make Employee Advocacy highly relevant to content marketing efforts.